Financial Controller – Patricia joined IWC in May 2010 as a Portfolio Controller, mainly responsible for the controlling and managing of US investments on behalf of IWC’s clients. In October 2012, Patricia assumed the position of Business Controller for the entire IWC Group. Her combined experience from over 10 years of financial controlling in various multinational companies and achieved experience with TIMO fund financials in the former Fund Investment team is a unique attribute for the company. 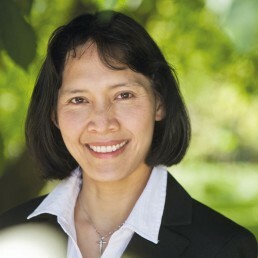 Prior to joining IWC, Patricia held various challenging positions as financial controller for Edition Wilhelm Hansen in Denmark and for Ferrosan A/S both in Denmark and the Philippines. Patricia has also held positions such as Chief Accountant and Finance and Administrative Manager in various Asian multinational companies based in the Philippines. Patricia holds a bachelor degree in Commerce (major in accounting) from La Consolacion College in the Philippines which she earned as a working scholar.